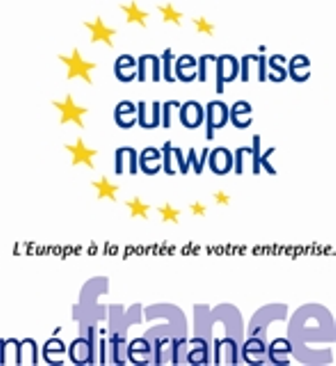 French EEN is legally and economically responsible for this B2B Matchmaking event. ConVerve GmbH is assigned to provide the online B2B Matchmaking system. What kind of information will be collected? If you register as a participant for this event, we will save data, in order to provide you with matchmaking services. We ask you to enter person and company related information. These data, which will be saved for your profile, contain: name, address, email address, phone number, and more. Personal user data will be kept strictly confidential and not passed on, unless you explicitly agree to this. You will not be able to use this website if you do not accept cookies. Session Cookies are used solely to simplify website use. The cookies will be deleted as soon as you log out of the system. As far as it is necessary for safety reasons, IP addresses are saved for a limited time in the logfiles. Anonymous statistics are created for website traffic evaluation or for accounting purposes. Individual user profiles are not created or linked to personally assignable information. You are responsible for the content you create for your profile. The information must be true, and must not violate any rights or offend against dignity. If ConVerve uses the services of a third party for supplying the offered services, ConVerve is authorized to forward your data as far as it is necessary for technical administration and maintenance of ConVerve products. To whom will personal data be passed on? Participant's profiles will be published in the internet, freely accessible worldwide. You have the right to access your data, get information about your data, and correct it. If you want us to delete your profile, we will of course do that after your notice. ConVerve is authorized to stop the service at any time, or to delete your data without giving reasons. You may not insist on publication of your data. We take every precaution to save your data and to avoid any misuse from outside. Therefore we use various measures, such as encryption (SSL), firewalls, hacker-defence programs, and manual safety devices. SSL encryption is active when the key symbol is closed and the address starts with "https://". ConVerve does not guarantee to provide the service at determined times. Interruptions or a possible loss of the online service cannot be excluded. We backup the servers of ConVerve regularly and carefully. The Site and its services contain links to other World Wide Web or WAP sites provided by independent third parties ("Third Party Sites"), either directly or through frames. ConVerve is not responsible for the availability or content of Third Party Sites and will not be a party to, or in any way responsible for, any transaction concerning goods or services available from such Third Party Sites. ConVerve reserves the right, at its discretion, to make changes to any part of the site and its related services. Due to its policy of updating and improving the Site, ConVerve may wish to change these Terms. When terms are changed, ConVerve will notify you by publishing details on the homepage. If you use the site or related services after ConVerve has published or notified you of the changes, you are agreeing now to be bound by those changes. If you do not agree to be bound by those changes, you should not use the Site (and should cancel your subscription to any related services) any further after they are published at the end of these Terms or after you receive notice of them. During the registration process you have to accept our Conditions of Use and after that enter your company and personal data. After completing the form please check your entered data and the click "send". After that a valid contract is concluded. You are a registered user and able to use the services. You can ask us at any time to delete your profile. Please send an email to een@paca.cci.fr.